Ever want to buy some fresh, local produce? 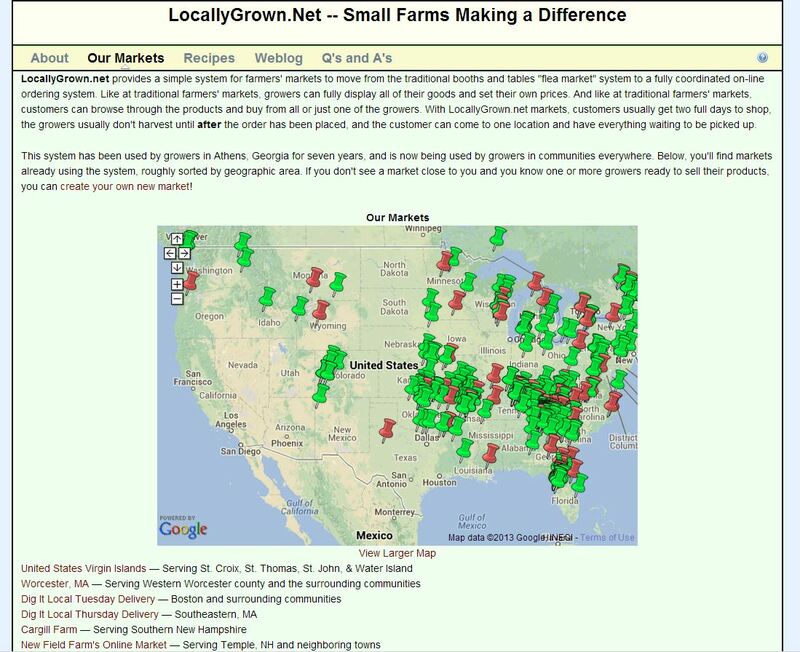 LocallyGrown.Net has created an interactive map of small farms and farmers’ markets around the U.S. In fact, LocallyGrown.Net even offers a unique address for small farms and locally grown food entities. Get out and meet some of the people in your own community. Buy some fresh produce, meet some great people, cultivate health.